-Start the day by filling a one-litre bottle of water. 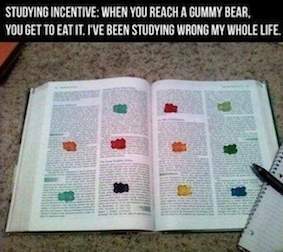 Make it your aim to finish by mid-day and drink another before bed. -For each cup of tea/glass of wine drink two glasses of water. -Replace a five minute phone call to a friend about why ‘blah got blah and you didn't' with a five minute guided meditation. Search the net for a free one to suit your needs. -Hitting the town? Choose a venue with no background music or a less boomy restaurant, and avoid the temptation to shout to be heard. -If you are doing it regularly, visit your GP – it could be a sign of acid reflux or a habit formed as a result of a past illness. -Whenever you get the urge to clear your throat, take a sip of water instead and see if that clears it first. 4. When sick, be brave and rest! -This is tough. You might not have a cover and/or when you cancel, you don't get paid/might not get booked again. -There are funds out there that can help you get back on track though. 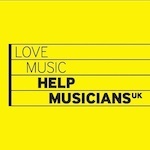 One excellent service in the UK is Help Musicians UK. They are known to support musicians when their ability to work is affected by issues such as vocal problems, illness & bereavement. 5. Pay attention to your speaking voice. Are you causing day-to-day damage? -Support your speaking voice as well as when you sing. -Doing a lot of teaching? 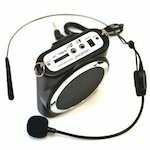 Some teachers use mini amplification headsets to save their voices. Find what works for you. -Your voice is part of your body and what you eat will affect your immunity and therefore your vocal health. -When working at home, set your alarm to buzz every hour and make yourself walk around for five minutes. 9. 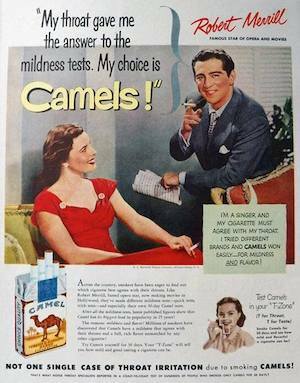 Give up the smoking! 10. Lastly, remember why you enjoy singing! Do you think your outfit isn't important at auditions? Think again! We all know this is true - so give your outfit the thought it deserves. Remember, you never get a second chance to make a first impression. Yes it is 'safe' but you are an artist. 3. What kind of character are you going for? Can your outfit give a nod to that character, helping the panel to see you in the role? 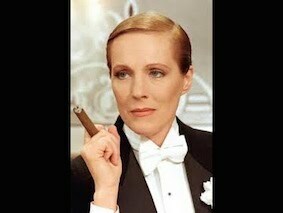 If you are going for a boy role, adopting a more androgynous look may just give you the edge over an equally good singer who goes in dressed like Jessica Rabbit. Just a nod will do the trick. 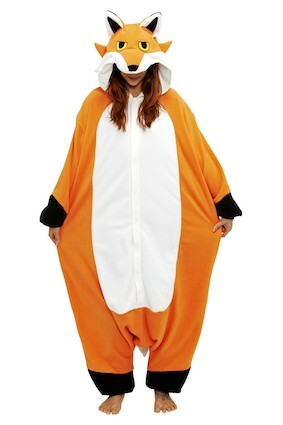 Turing up to your ‘Cunning little vixen’ audition in a fox onesie might just be pushing it. 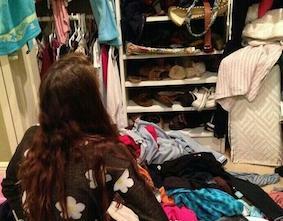 Make sure it is washed, ironed, still fits and is ready to go the night before. Then you don't waste valuable energy emptying the contents of your wardrobe looking for something vaguely suitable on the morning of your audition. Make sure your (clean) shoes or boots not only go with your outfit but that you can also sing/walk in them. Want a vampy look but aren't so good in six inch platforms? Hunt around for a stable but effective alternative. Be memorable for the right reasons! Ensure you are wearing and working your outfit and that it is not wearing you. Not everyone can get away with dressing up as a piece of streaky bacon or as a nun. "Can you tell me where the Sound of Music auditions are please?" Luck -when preparation meets opportunity! You have applied for your auditions and are expected to present specific repertoire, or have got the role and need to learn it. Get practicing your rep now to get ahead of the game. Here’s our method. Adopt what suits you and leave what doesn't. ‘Cherry picking’ is an important and time-saving skill in itself! Spend five minutes taking an online test to see if your learning style is visual, auditiory or kinaesthetic. Knowing can help you build a more effective practice routine. Understand what is going on and your character in relation to others. Studies have shown that colours such as orange, red and yellow are more attention-grabbing compared with colours such as grey or brown. This means that information written or highlighted in these colours may have a higher chance of being remembered. A great way to memorise text quickly is to build it up word by word. Not only will you quickly commit the words to memory, but also savouring the prose one word at a time enables you to absorb the meaning of the language, discovering new ways to give life to the text as you go along. If you find it difficult to learn a role in a foreign language, learn the word by word translation as well as in the given text in order to ensure you understand the nuances of exactly what you are saying. Use actions to help you remember the individual meanings of words. Groveling around for notes, rhythm and words all at once can create a myriad of bad vocal habits. Learn the notes on a vowel to enable you to concentrate on a free flowing sound and learn the music correctly. Make it all about the line and then when you bring the text back in, the fun begins. Struggling to pitch those intervals? Attach a tune you know to help you. How often do you sing a piece of music and just practice it from beginning to end again and again, fudging over those difficult passages thinking you will get them right the next time. 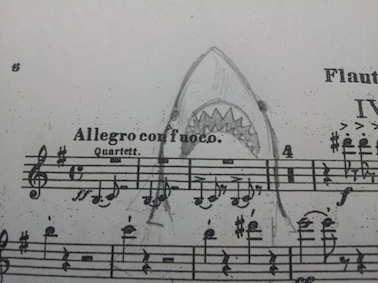 Focus on those tricky passages. If learning them isn't working one way, try something new. Break them down into smaller chunks, slow it all down, work out what works for you and before you know it, those tricky passages could become your favorite phrases. Better to sing them correctly at half tempo once than incorrectly at tempo ten times. Learning takes time but sometimes we have to do so quickly! Instead of thinking 'I will never manage to do this', zero in on a small section. Nail it. Move on to the next small section. Nail it. The accumulative positive effect of this will help you to push forward and before you know it, you will know more than you don't! Reward yourself for what you have done. Now that you have learnt the correct notes, inflection and text, for many repetition is a vital part of the learning process. Keep your approach to tempi and other musical aspects flexible though. Who knows what the MD & director have in store for you! Many singers think they will switch on their performance mojo when they hit the stage. In reality, does that really work? Practice as you would perform. Knowing that you can remember the role/aria under any circumstance, the chances are that you will forget to be nervous! There is a lot to be said for the old adage “An amateur practices until they get it right, a professional until they can't get it wrong". Over to you... what are your tried and tested practice tips?